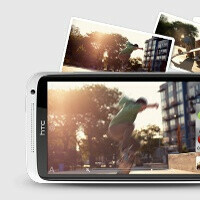 AT&T HTC One X price dropping to $99.99 on Sunday? The HTC One X is probably one of the best designed and greatest Android phones at the moment, but even it cannot withstand the pressure from Samsung’s Galaxy S III and now rumors have it that AT&T will slash the price of the One X by $100 to the very affordable $99.99 on a two-year contract. The whispers started to form on XDA Developers forums and claim that on Sunday, AT&T will slash the price. The AT&T HTC One X runs on Qualcomm’s Snapdragon S4 chip with integrated LTE and manufactured on battery-savvy 28nm technology, so it’s definitely on par with the Galaxy S III in terms of productivity. "This is the new price point, no special or deal," XDA Devs member surflamj says. That’s not the only interesting thing, though - the Samsung Galaxy S III in daring red is also coming soon and will be available for pre-order on Sunday as well. Now, this is definitely still a rumor but if we were buying our phone on AT&T right now, we’d definitely wait for Sunday to see if that’s true. In the meantime let us know which one would you pick - a more affordable HTC One X or the brand new Galaxy S III? $99 for the OneX? Xperia S would have to be free on contract. Let's see, Galaxy Note 249, Galaxy s 3 199, have removable batteries. Other phones 99, have non removable batteries. Same or simular specs. Is this telling you something? Agree, HTC made a big mistake there. But 1X is a bit laggy unlike GS3, and no memory expansion slot also. Great price, that's what Android all about. Look at that ageing 4S, still $200? When we have JB on it, that will be an amazing masterpiece. Atrix HD is the awkward phone in the room now... price drop to 0? Wew for $100 I'll get a dummy line to get the phone! It has the best IPS screen which I love! Only draw back is no ex-sdcard otherwise it beats s3 in my heart!!! NO SD CARD SUPPORT NO BUY. Ooops yeah I was referring to the international version, 32gb is enough but yeah 16gb is so so. But for $99 on contract that's still a bargain don't you think? even if its big what happened if you use up all your space and can't use it any more? not going to store all my music/pics/data in the cloud. i like to at least remove some of it on my sd card. I guess you wouldn't want to keep all those music/pics/data in your phone. Backup everything in your PC. 32GB is big for a portable device. Use a PC for real storage. Sunday? It's already at $99 on AT&T's website. Wow just checked out the ATT website...You kids were right...HTC one X is now 99 bucks!!! This is the best timing! I was at the AT&T store Thursday. The price was $199 for the HTC One X.. I almost went for the Motorola Atrix HD that day, but decided to think on it a night. On Friday, I caught the news online that Radio Shack was lowering the HTC One X to $99 on Sunday. The AT&T store already had it lowered to that price by noon Friday! Of course, I picked one up at that price. LOVE IT! !